It is that time again. 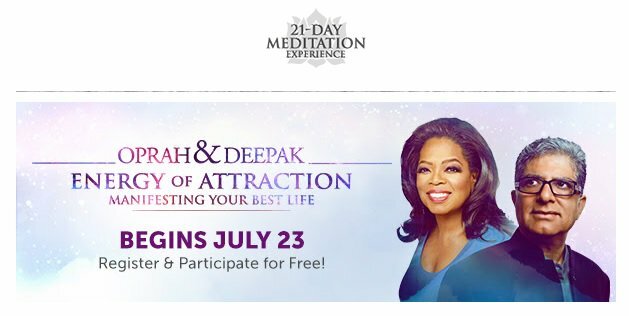 Four times a year, through the Chopra Meditation Center, Oprah and Deepak offer a NEW completely FREE series of 21 online guided meditations. I love the programs in this series and use them myself. Manifesting Grace through Gratitude. Starting March 25! In Manifesting Grace through Gratitude, Oprah and Deepak lead you on a meditation journey to experience true happiness regardless of external circumstances, and appreciate the joy of simply being. 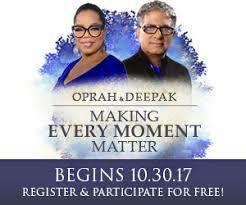 Beautiful soundscapes harmonize with Oprah & Deepak’s daily messages, mantra-based meditations, and centering thoughts. Start your journey towards feeling genuine gratitude each day – and experiencing the gifts grace has to offer in return – with Manifesting Grace through Gratitude! 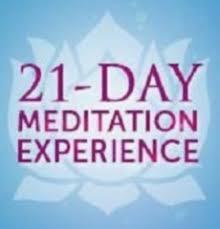 I have done many of these 21-day mediation programs by Oprah and Deepak, and I love these challenges because they are free, easy to use and always provide such a wonderful source of inspiration for my meditation practice. The challenge starts, March 25th So, it's not too late to join Oprah and Deepak experience and step into your greatness. Sign up today! Living in Northern CA for the last 20 + years I have been blessed to often visit Spirit Rock Meditation Center. Spirit Rock is dedicated the practice of mindful awareness and provides silent meditation retreats, as well as classes, trainings, and Dharma study opportunities for both beginners and experienced students. One of my favorite offerings is the Monday Night Dharma Talks. 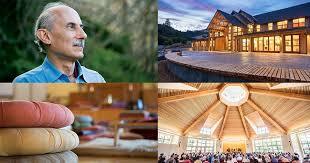 I make the trip to Woodacre, CA, at least a few times a year to listen to Jack Kornfield (and friends) give these talks. It is amazing to mediate with a large group. If you are traveling to northern CA, Spirit Rock is about a half hour from San Francisco and a must-see for mindful visitors. Spirit Rock is visited by an estimated 40,000 peace-seekers every year and has become one of the most influential and well-attended meditation centers in the world. 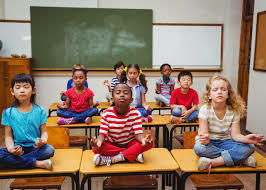 The teachings of the Buddha (Dharma) and the practices of Insight Meditation (Vipassana) and loving-kindness meditation (Metta) are at the heart of the programs. These days living in Truckee, it is not easy for me to drive to Spirit Rock, but (hooray!) some of the Monday night Dharma Talks can now be accessed on the web or via Livestream on Facebook. Due to my kid’s soccer game, I missed Jack’s Monday’s talk on Sept 17th, but could view it on Facebook later in the week for free. Here is the link if you are interested. If you can't make it to the talks in-person, you can sign up for the livestream or follow Spirit Rock on Facebook. Monday Night Dharma talks are an amazing gathering where you can quiet the mind and open your heart, and now you can do it virtually. Check out the live webcasts, they are held some Monday nights from 7:15 - 9:15pm PDT. "Spirit Rock Live: Monday Nights with Jack Kornfield and Friends."